We just finished post processing the last of James and Heather’s formals. All I can say is wow. Amazing couple + beautiful church + gorgeous reception grounds = epic formal photographs! Thank you again to Heather and James for allowing us to photograph your wedding. You guys were such a blast! 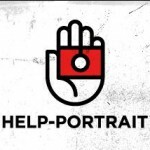 Help – Portrait :: Help us out!